Websites for Nonprofits - Houston Web Design and Hosting, Inc.
I’ve been blessed to be able to offer my web design services on an ongoing basis for numerous nonprofit organizations. This past Spring when I was freshly out of a job after 10 years at the same advertising agency, I began my own web design company in Tomball, TX with only a few clients of my own. Several were clients I had done sites for through the years separately from my day job. When I didn’t have much to do at first, I prayed and asked God to bring me business. 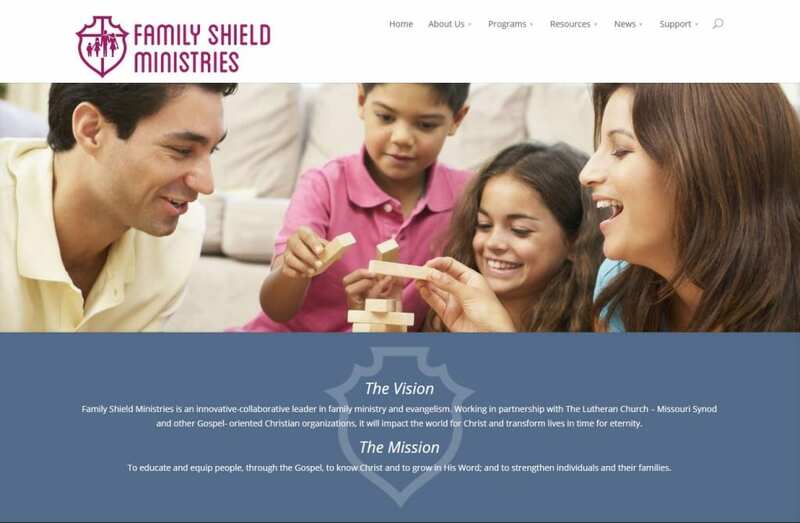 One of the clients I reached out to that needed a responsive redesign was Family Shield Ministries. Kay Meyer, the founder and president of Family Shield was my oldest client. I had done two volunteer projects for her when I lived in St. Louis over 15 years ago. Kay told me that they would love to have a new responsive website but their budget didn’t allow for it right now. So I decided to build their new site pro bono. I remembered the verse in Luke 6:38, “Give, and it will be given to you. A good measure, pressed down, shaken together and running over, will be poured into your lap. For with the measure you use, it will be measured to you.” I was able to bless a great ministy with an updated website, and I considered my work tithing my time into God’s kingdom. Since last spring, I’ve been blessed enough with new business clients that I’ve been able to do several other websites for nonprofits at greatly reduced prices (or at no cost), including websites for Celebration Church, Christianson Syndrome Association, EMD of Colorado, Hope House Houston, and Kids Running for Kids.